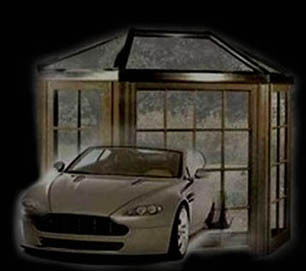 Vacuflo Building Concepts : Auto Glass : Atencio Glass Canon City Colorado : auto glass, windows, mirrors and more! 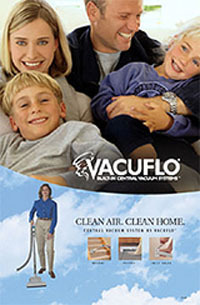 Atencio Glass & Building Concepts Inc. is now the Southern Colorado Distributor for "VACUFLO" built-in central vacuum systems. Because of his extensive experience installing and servicing these systems, Rick selected the "VACUFLO" product line as the featured product for the "Building Concepts" division. 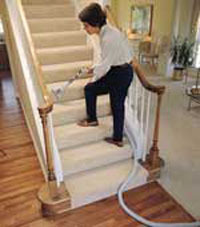 According to Rick, "VACUFLO" has earned its reputation for being the unprecedented quality and reliability leader in central vacuum systems. 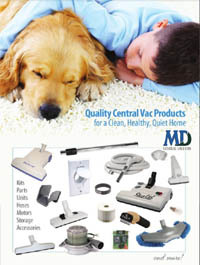 Cleaner air is a major concern for all consumers, and according to the Environmental Protection Agency, "central vacuums that are vented outdoors can help decrease exposure to dust mites and other contaminants." ATENCIO’s "Building Concepts" division offers home owners a healthier way of life, because with a built-in system there are no bags or filters and the system exhausts to the outside of the home, keeping dust and vacuum odors from recirculating back into the home. These systems are convenient because there is no big heavy equipment to lug around, and the system generally costs the same or less than premium upright or canister vacuums. A built-in system also adds value to the home, and can be installed into existing as well as new homes. Commercial systems are also available for businesses and multi-family units. Businesses find a built-in central vacuum system cost effective, as excess dust and contaminants adversely affect business equipment and machines (such as computers) which shorten their life. The systems are also quiet (the main unit is located away from the mainstream of activity) and can be used during business operations. Though "VACUFLO" and "MD Central Vacuums" are the featured brands for ATENCIO’s Building Concepts division, the company also offers parts, service and maintenance for all makes and models of built-in vacuum systems.